Workout motivation is an interesting thing. There are times when I am so excited about my workouts that I jump out of bed in the morning excited to sweat! Then there are times where I wonder if someone else can do my workout for me. How cool would it be if that worked? No matter which camp you’re in, there’s almost ALWAYS something extra motivating about a brand-new workout! And for today’s workout, we’re breaking out the TRX suspension trainer for a home workout that will really challenge those muscles. This workout is intended for individuals who can perform all exercises with good form. Remember to consult a physician before beginning any exercise program. Today’s new superset workout is laid-out a bit differently than normal, but hopefully you’ll find it easy to follow! Now get ready to work. 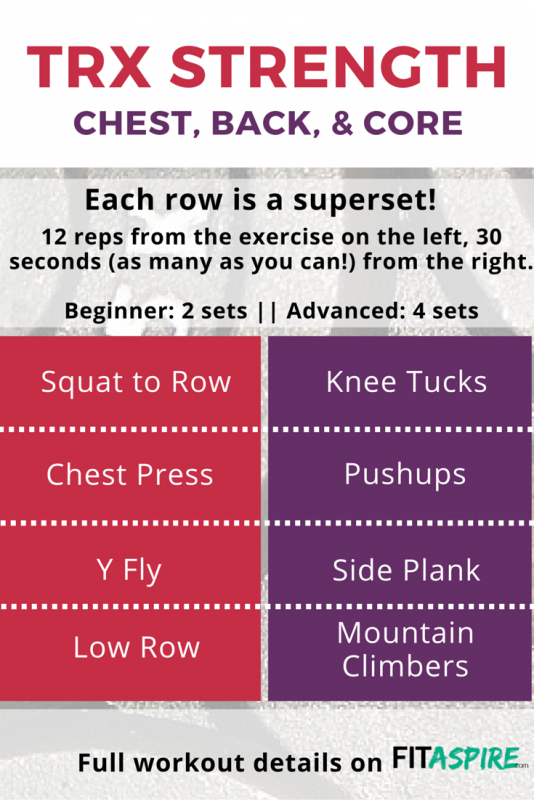 Each row describes one superset – pink, followed by purple. For each set, complete 12 reps of the exercise listed in pink, followed immediately by 30 seconds of the exercise listed in purple (as many reps as possible in that time). Rest for 30-45 seconds and then repeat that superset for the number of sets prescribed for your level. Work your chest, back, & core with this awesome #TRX #workout! 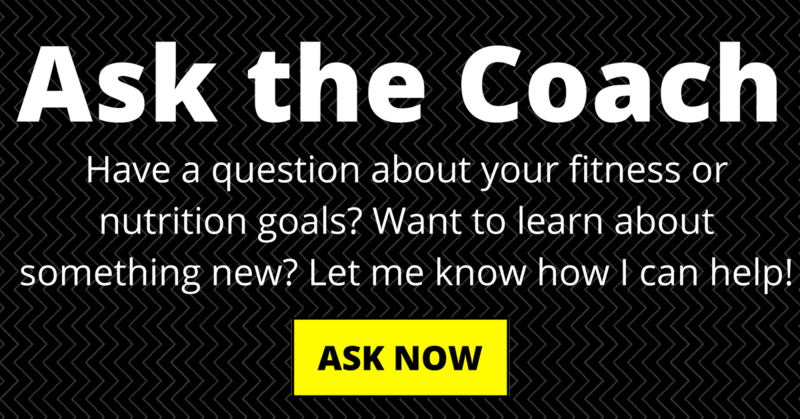 Looking for more workouts? You can browse all workouts here, including options for the gym & home. What is your favorite back or chest exercise?